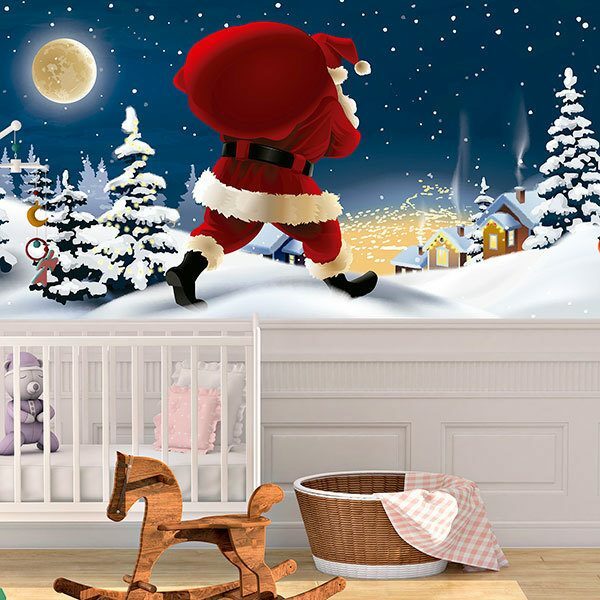 Wall mural Santa Claus distributes gifts. 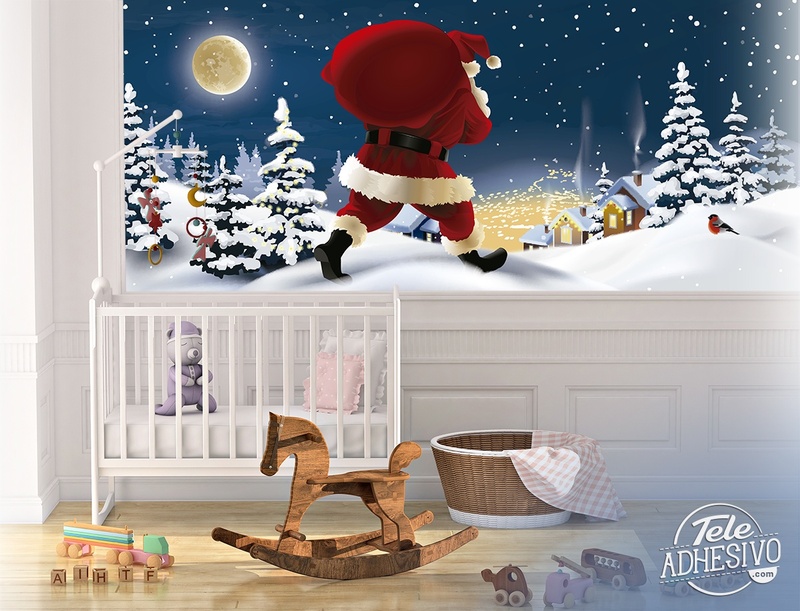 Illustration of a nocturnal Christmas picture where Santa approaches a city through the snow. He's carrying his huge bag of bedtime gifts. The moon illuminates his path and a small robin has landed on the snow to observe him. Size: 37 x 17 cm.